The news has been relentlessly rough. And when things get stressful, diving into media and entertainment can serve as a form of self-care and also remind us that there are good, productive, kind, interesting people pumping creative work into the world. 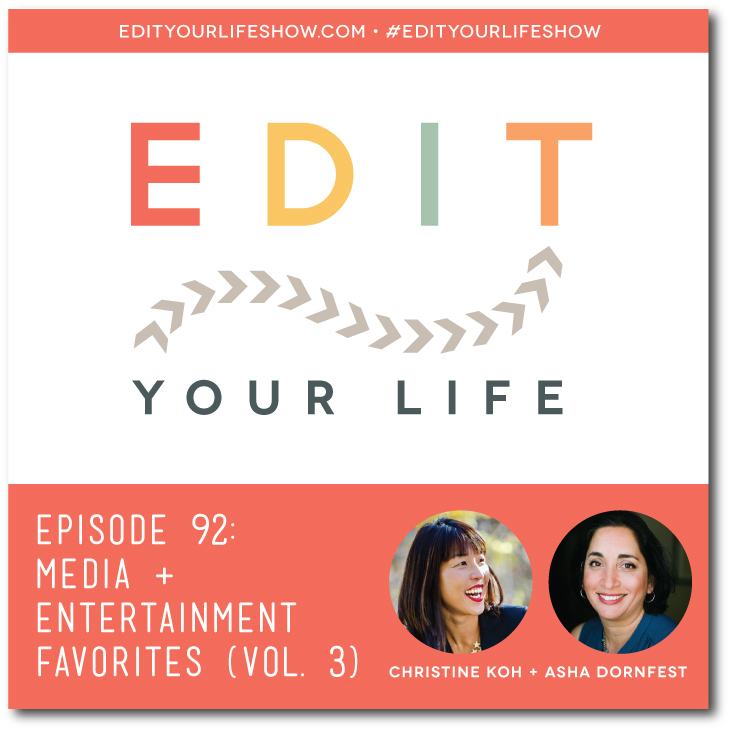 In Episode 92, Christine and I share about what we’re listening to, watching, and reading right now. What are YOU reading/watching/listening to right now? Join the discussion on the Edit Your Life Facebook page (look for the Question Of The Week post).